So what’s not to like about Sign ‘O’ The Times? Well, it’s quality over quantity (there’s a great single album in there) and a realisation that I actually only like Prince’s fast songs. I could quite happily never hear the droning Slow Love or Forever In My Life ever again, whereas if side 3 had just been a 20 minute version of I Could Never Take The Place of Your Man or U Got The Look I would have been perfectly happy. I also find the sentiment behind the title track somewhat hackneyed – check the lyric quote at the top. What makes it still worth a listen? Well, the best tracks were the singles, especially the peerless I Could Never Take The Place of Your Man and funkalicious U Got The Look. 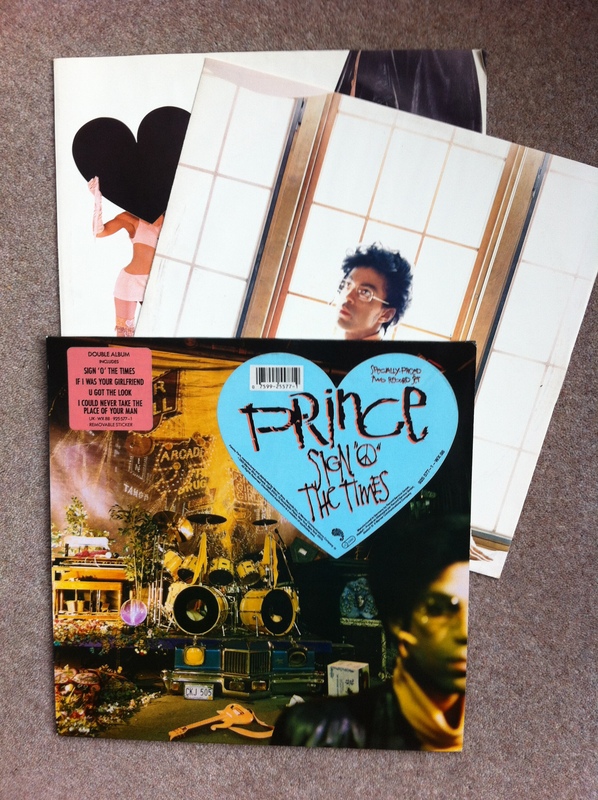 Both still stand up today and are regularly played as Prince classics. The title track also sounds really good, with it’s unusually sparse production for an eighties track (no sax, no splashy drums) even if I don’t look to Prince to give me social commentary. All that said, I still think Prince is a bloody genius. Anyone with his work ethic and output is bound to knock out a few clunkers from time to time, it’s just that for me I preferred Lovesexy, Around The World in a Day and (I know, I’m sorry) the Batman soundtrack. Those don’t outstay their welcome. Here’s U Got The Look. Think Soul Glo. This entry was posted in 1980's and tagged I Could Never Take the Place of Your Man, Music, Prince, Sign O the Times, U Got The Look. Bookmark the permalink.